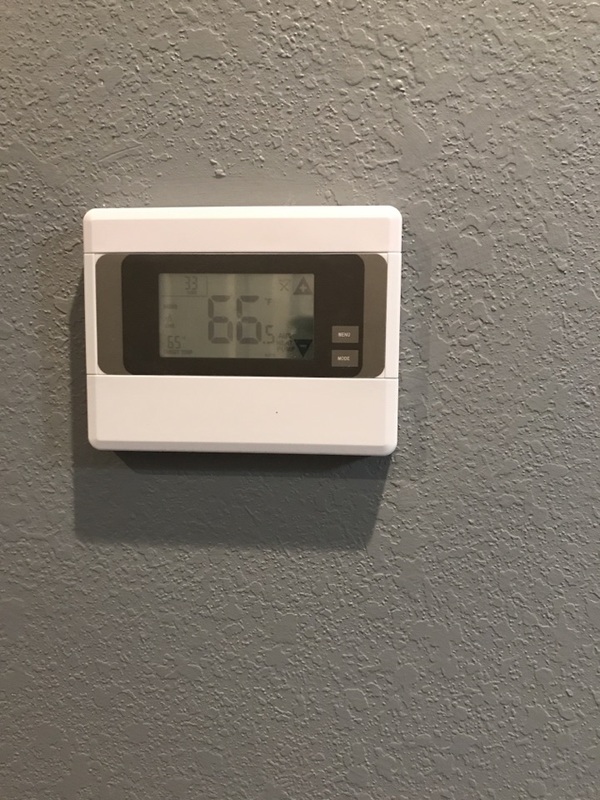 Since 1995, Hart Heating & A/C is your best choice for repair, installation, and service in homes and buildings just like yours in the Greater Lubbock Area. We take special pride in the craftsmen we train and employ--a fact you'll see in the reviews below. It's also noticeable immediately in the attitude and integrity our technicians bring to your job site. Our entire company works hard to make your experience with us hassle-free and enjoyable. You can also be assured that Hart Heating & A/C stands behind the work we do as well as complies with all local codes. This is why, as you can see by the map and reviews below, we are rated so highly for Air Conditioner Repair and Furnace Repair in Wolfforth TX. Call us today at (806) 795-1207! Totally loved the customer service from office personnel to the service technician. Office staff was prompt in scheduling our service call, while the technician provided details and great service. We we received great quality work, today! Thank you-Hart Co.
Was so gracious to take care of my air conditioner on a HOT 4th of July day!!! Such great service and service with a kind heart!!! Thank you! Keith Hart!! Delbert and other Hart employees have been helpful, thorough, and have given us great service with attention to detail and explanation of their findings. Appreciate their friendly and helpfulness, too. Top notch service and customer care. I am extremely pleased with the care and attention to detail I received from Hart's heating and air conditioning. They were very friendly, professional and prompt.I would certainly recommend them to anyone. They fulfill their promises. To be able to get a quick response when our furnace would not run during a recent cold spell on a weekend was greatly appreciated. The tech, Delbert, was very polite and receptive to my questions. He quickly got us heat and relayed the owner's input as well. He informed me that there shouldn't be further problems, but was straight forward that a control board could have issues later. They only charged the service call fee! Will definitely be calling Hart Heating for the next fix. I appreciate both the gentlemen's friendly and thorough service! Will definitely continue with Hart! Everyone was absolutely wonderful from the first phone call - which I want to add was made in less than 24 hours after I sent an email to request service! I love and appreciate they way this team worked around my schedule and still took care of my AC needs the same day! Delbert was very professional and took the time to answer all of my questions! The quality of service was great from start to finish! Price of service was very reasonable! Hart Heating and A/C has gained a customer for life! I was prepared to have to wait a few days before someone could come out, but Keith came out to repair my AC the same day I called. The gentleman was very polite and helpful!